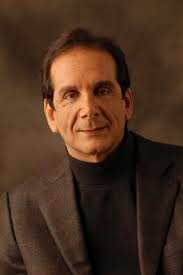 Charles Krauthammer's column in the Washington Post explains why Obama's Iran deal is bad for America. But wait. Obama has insisted throughout that we are pursuing this Iranian diplomacy to avoid the use of force, yet now blithely discards a previous diplomatic achievement — the arms embargo — by suggesting, no matter, we can just shoot our way to interdiction. Note: In my view, Iran is our age's Nazi Germany and Obama is our Chamberlain.